Where would you land here? Following the flawless and history making arrival of the European Space Agency’s (ESA) Rosetta spacecraft at its long sought destination of Comet 67P/Churyumov-Gerasimenko on Wednesday, Aug. 6, the goal of conducting ground breaking science at this utterly alien and bizarre icy wanderer that looks like a ‘Scientific Disneyland’ can actually begin. Rosetta is the first spacecraft in history to rendezvous with a comet and enter orbit – after a more than 10 year chase of 6.4 billion kilometers (4 Billion miles) along a highly complex trajectory from Earth. The arrival event was broadcast live from mission control at ESA’s spacecraft operations centre (ESOC) in Darmstadt, Germany. Read my complete arrival story – here. 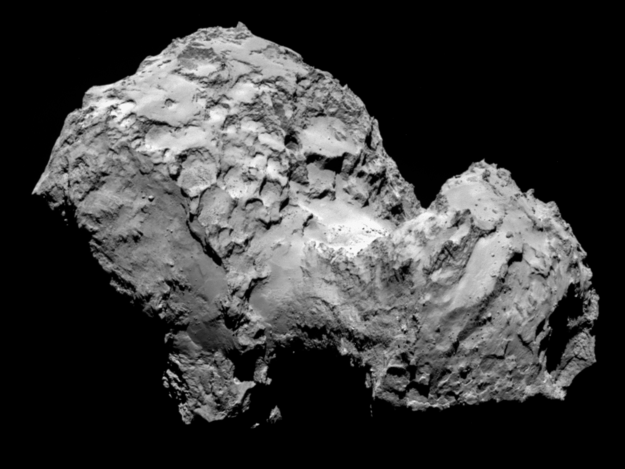 So what’s ahead for Rosetta? 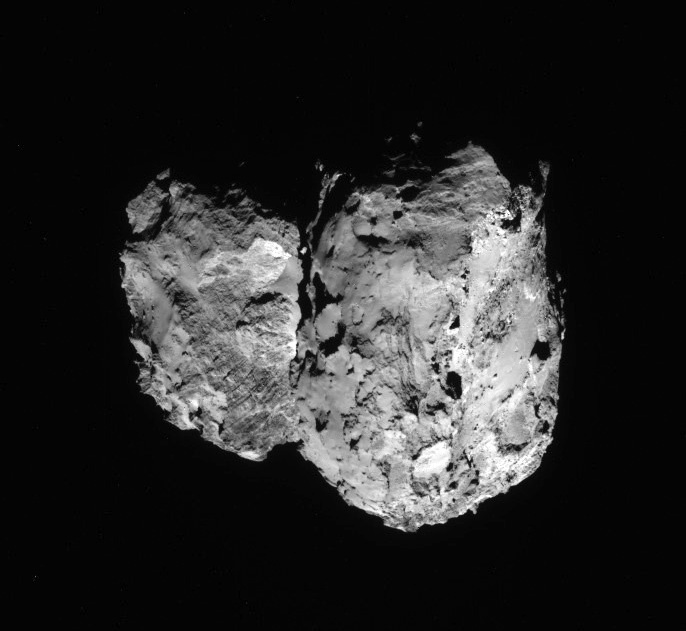 Another audacious and history making event – Landing on the comet! A top priority task is also another highly complex task – ‘Finding a landing strip’ on the bizarre world of Comet 67P for the piggybacked Philae comet lander equipped with 10 science instruments. That will be no easy task based on the spectacular imagery captured by the OSIRIS high resolution science camera and the Navcam camera that has revealed an utterly wacky and incredibly differentiated world like none other we have ever visited or expected when the mission was conceived. Magnificently detailed new navcam images were released by ESA today, Aug, 7, streaming back to Earth across some 405 million kilometers (250 million miles) of interplanetary space – see above and below. The team will have its hand full trying to find a safe spot for touchdown. “We now see lots of structure and details. Lots of topography is visible on the surface,” said Holger Sierks, principal investigator for Rosetta’s OSIRIS camera from the Max Planck Institute for Solar System Research in Gottingen, Germany, during the webcast. “We see a village of house size boulders. Some about 10 meters in size and bigger and they vary in brightness. And some with sharp edges. We don’t know their composition yet,” explained Sierks. The key to finding a safe landing site for Philae will be quickly conducting a global comet mapping campaign with OSIRIS, Navcam and the remaining suite of 11 science instruments to provide a detailed scientific study of the physical characteristics and chemical composition of the surface. They also need to determine which areas are hard or soft. Yesterday’s (Aug. 6) critical final thruster firing placed the 1.3 Billion euro robotic emissary from Earth into a triangular shaped orbit about 100 kilometers (62 miles) above and in front of the comet’s incredibly varied surface. Therefore the initial mapping will be conducted from the 100 km (62 mi.) standoff distance. Since the landing is currently targeted for November 11, 2014, in barely three months time there is not a moment to waste. “Over the next few months, in addition to characterizing the comet nucleus and setting the bar for the rest of the mission, we will begin final preparations for another space history first: landing on a comet,” says Taylor. The team will identify up to five possible landing sites by late August and expect to choose the primary site by mid-September. Then the team has to plan and build the programming and maneuvers for the final timeline to implement the sequence of events leading to the nailbiting landing. With Rosetta now travelling in a series of 100 kilometer-long (62 mile-long) triangular arcs in front of the comet lasting about 3 days each, it will also be firing thrusters at each apex. But it will also gradually edge closer over the next six weeks to about 50 km distance and then even closer to lower Rosetta’s altitude about Comet 67P until the spacecraft is captured by the comet’s gravity. In November 2014, Rosetta will attempt another historic first when it deploys the Philae science lander from an altitude of just about 2.5 kilometers above the comet for the first ever attempt to land on a comet’s nucleus. The three-legged lander will fire harpoons and use ice screws to anchor itself to the 4 kilometer (2.5 mile) wide comet’s surface. Philae will collect stereo and panoramic images and also drill into and sample its incredibly varied surface. Stefan Ulamec, Philae Lander Manager from the German Aerospace Center (DLR) talked about the challenges of landing in a low gravity environment during the ESA webcast. Details in an upcoming story! Comets are leftover remnants from the formation of the solar system. 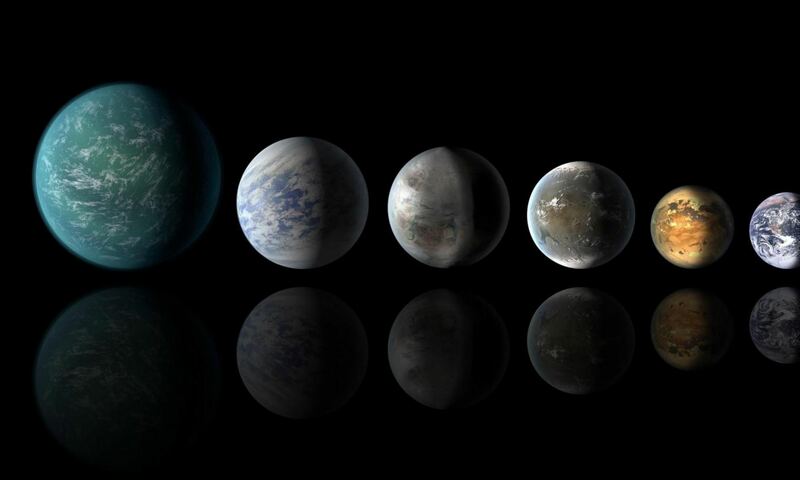 Scientists believe they delivered a vast quantity of water to Earth. They may have also seeded Earth with organic molecules. “Magnificently detailed new navcam images were released by ESA today, Aug, 7” but only the 96km pic looks new…? Very exiting. But the looks of it do not suggest “vast quantities of water” to me. Liquid water can not exist in vacuum as it boils away at a much higher pressure at a temperature where ice is present (0 degC). So if ice is there and heated up it will not melt into water but evaporate into stem. So far the surface temperature is far below -40 deg C. Ice of methane and carbon oxides might be present as well but not in liquid form on the surface. If there are some form of liquids in the center i am not skilled enough to be sure but i think the pressure is too low and the temperature too high to form liquids of anything else then water, but for water the temperature is too low. Conclusion, this is a dry and dirty snowball as long it exists. Previous PostPrevious How Do You #SpotTheStation?